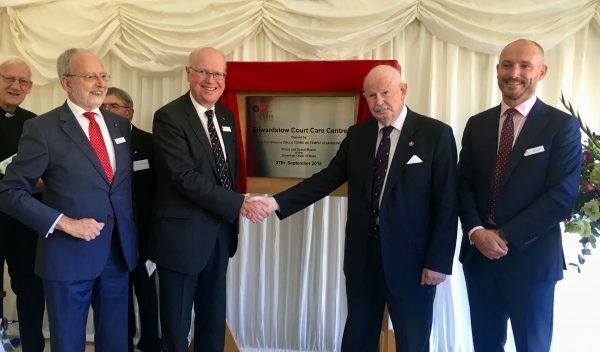 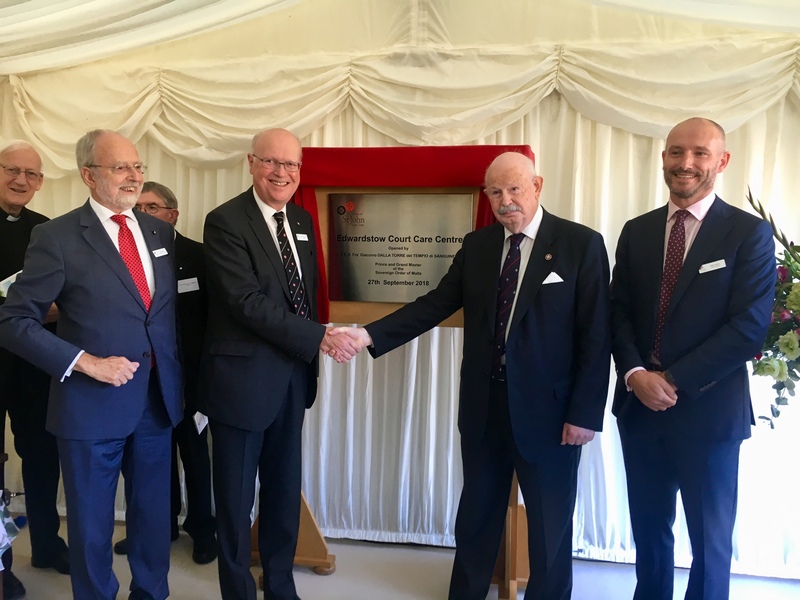 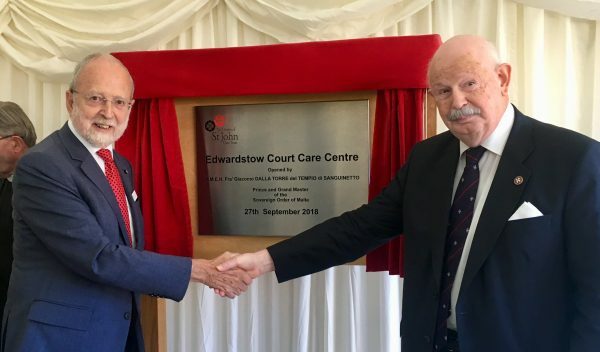 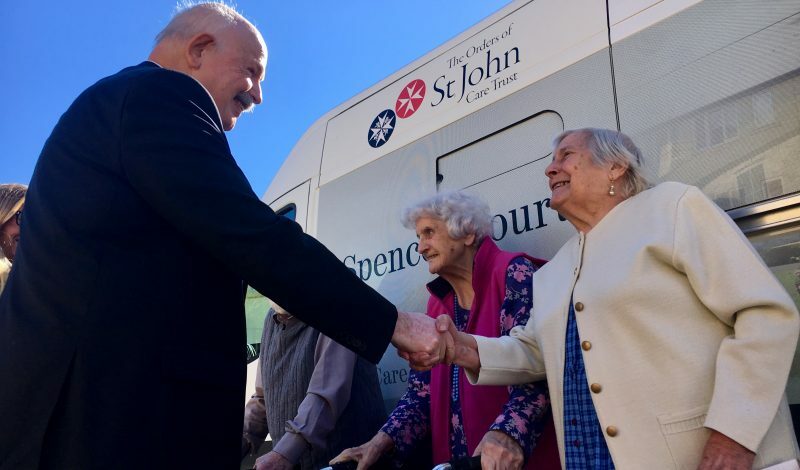 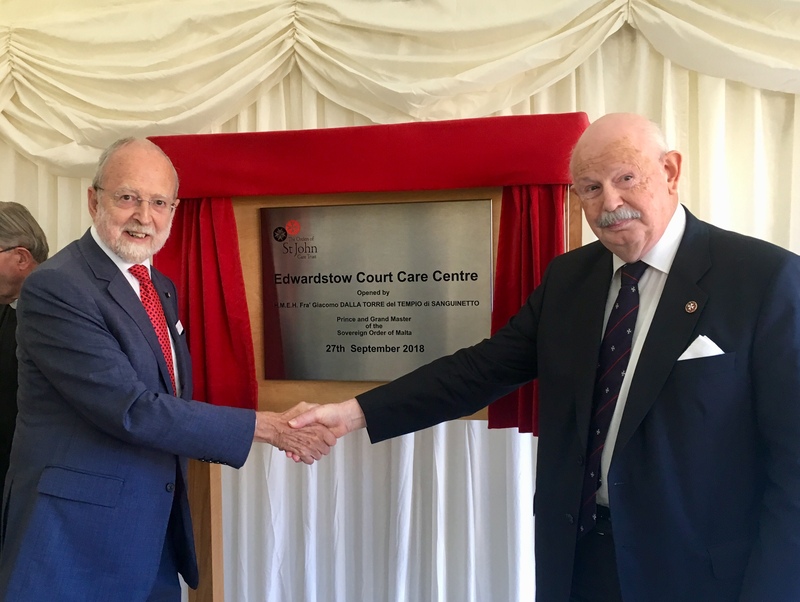 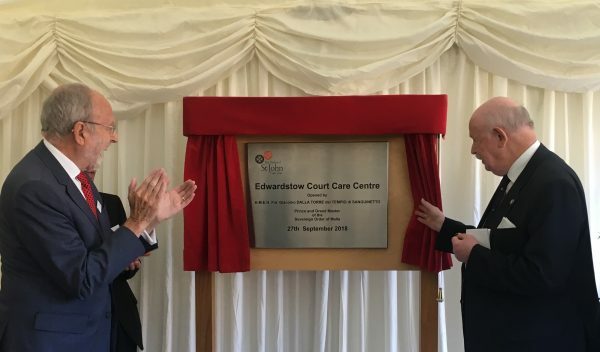 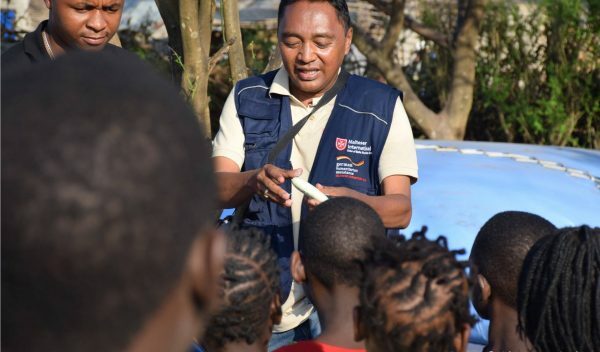 The Edwardstow Court care home in Gloucestershire, managed by the Order of Malta in the United Kingdom, was officially inaugurated today with the delivery of a minibus, donated by the Global Fund for Forgotten People, by Grand Master Fra’ Giacomo Dalla Torre who also unveiled an inaugural plaque. 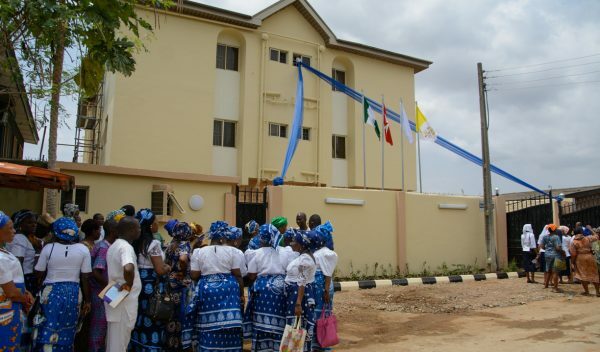 This new centre has four floors offering 48 bedrooms with en-suite bathrooms and various rooms for listening to music, for social activities such as painting and cooking or discovering together the traditions of other countries. 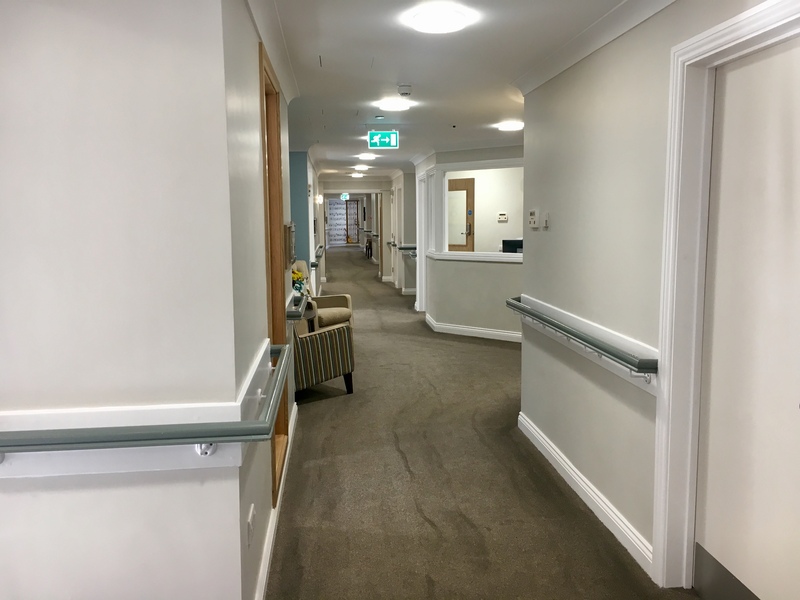 There is also a sensory bathroom to alleviate rheumatic pain and a large garden with aromatic herbs and opportunities for gardening. 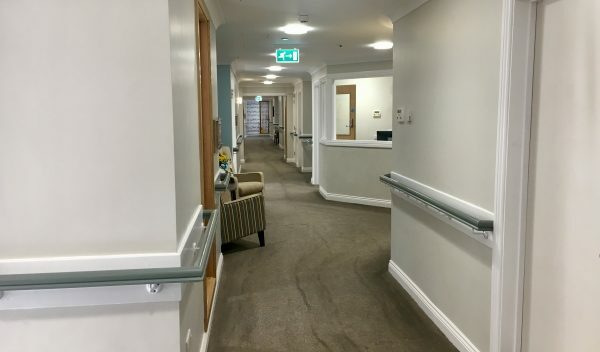 These are just some of the features of the new care home, the 72th to be run by the Order of Malta through the “Orders of Saint John Care Trust”; the Trust currently runs 72 care homes and 16 accommodation schemes in England, providing support and housing to residents and tenants across Lincolnshire, Oxfordshire, Gloucestershire, Wiltshire, West Sussex and Suffolk. 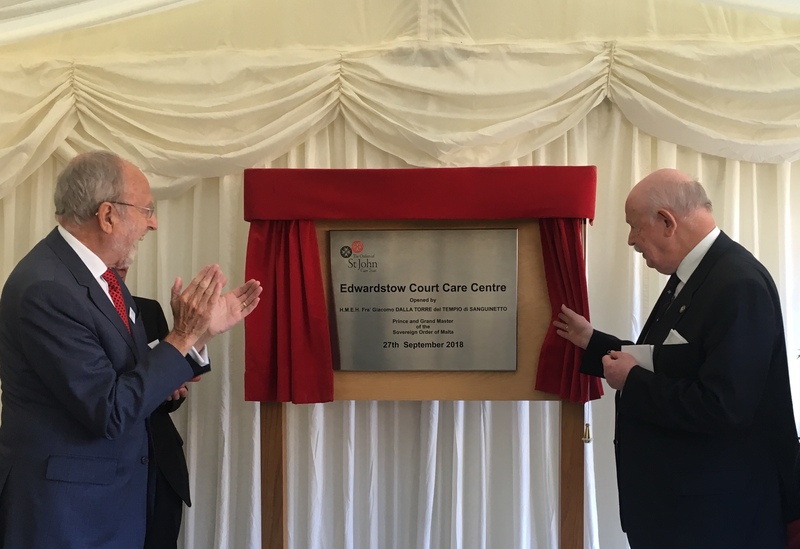 The centre opened in March and will reach its maximum capacity of 48 guests over the coming months. 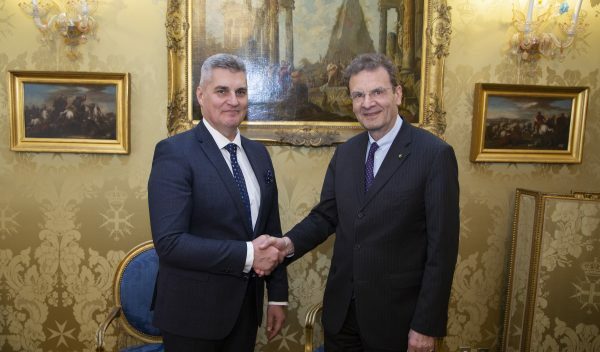 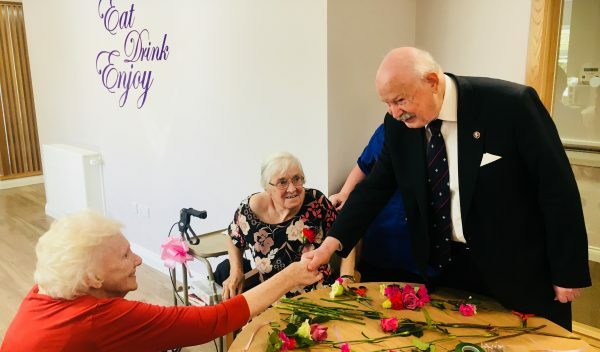 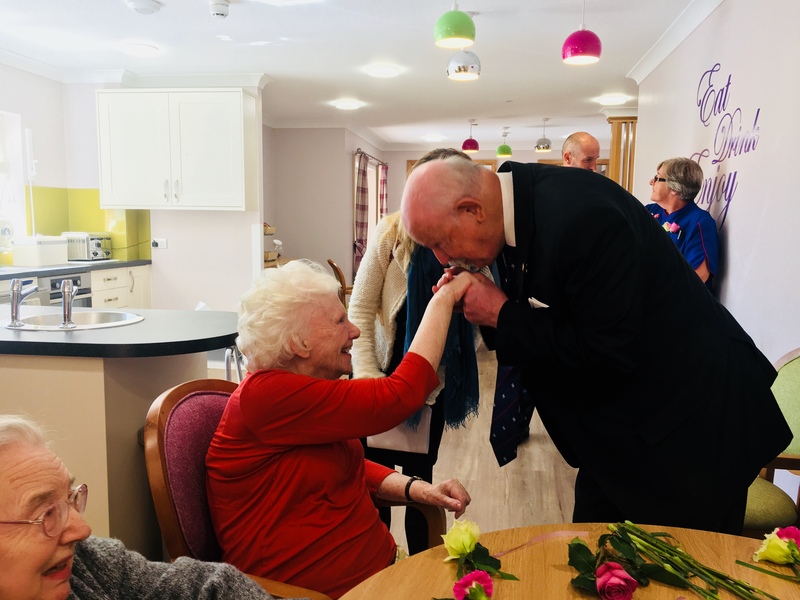 The Grand Master wanted to visit the home in person, meeting and chatting with many of the guests present, almost all with problems of dementia or convalescing after an operation or an illness. 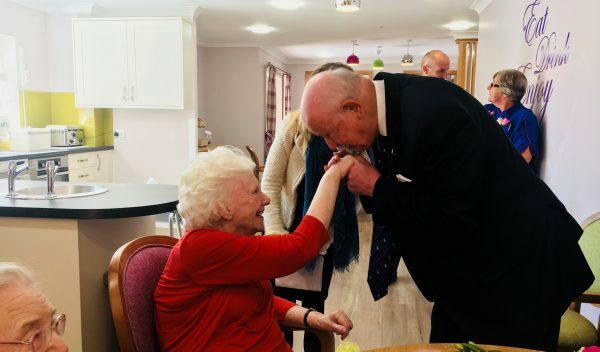 “It is a great honour to be here today for the opening of this splendid new home. 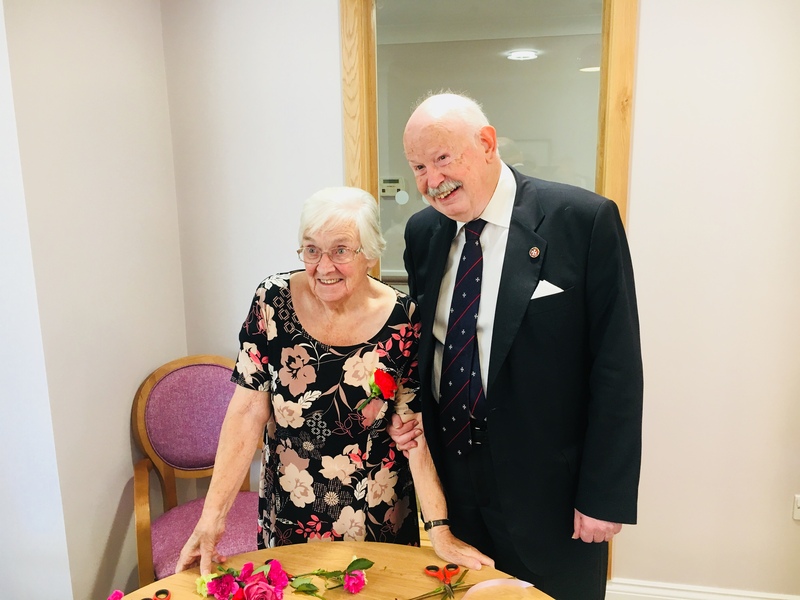 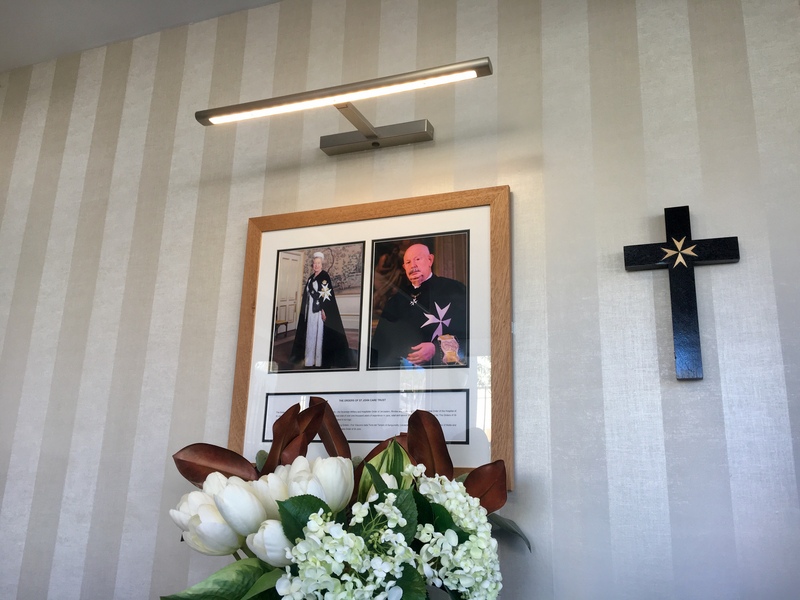 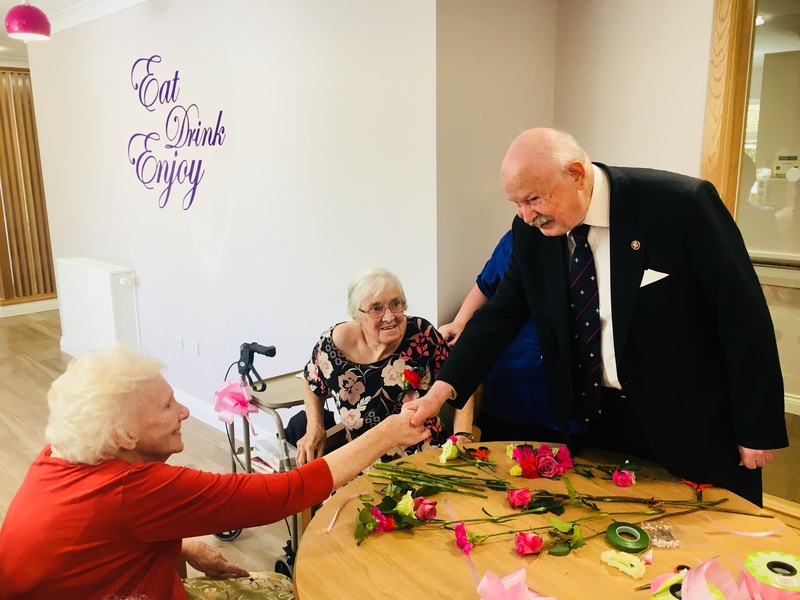 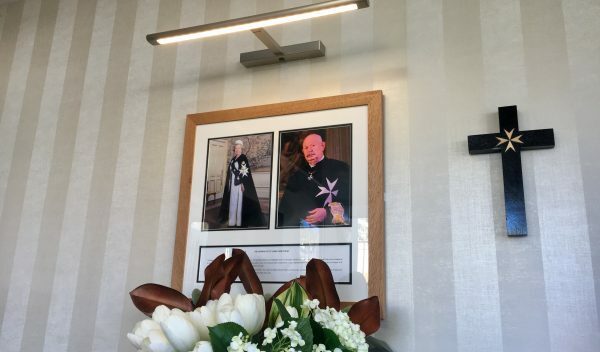 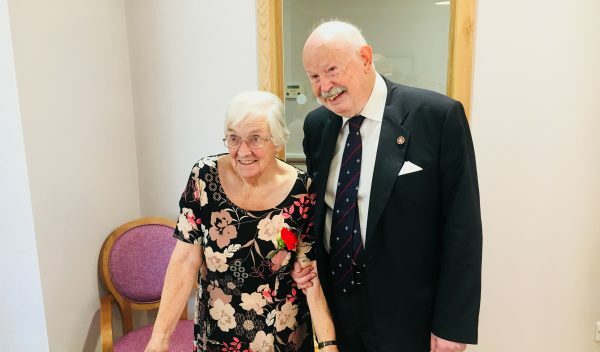 The Sovereign Order of Malta has a long experience in offering high-level care and I am truly happy that this tradition is being carried on here in Edwardstow Court. 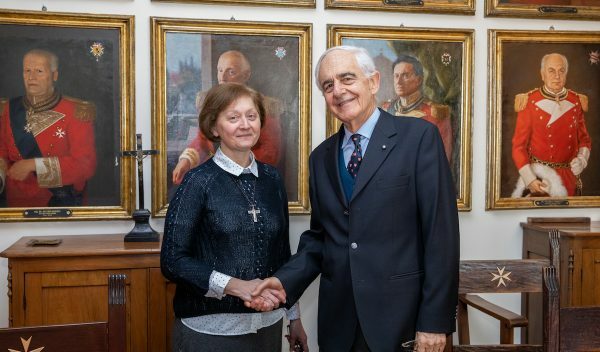 I express my warm thanks to all the staff who take care of the guests,” said Fra’ Giacomo Dalla Torre at the end of his visit to the centre. 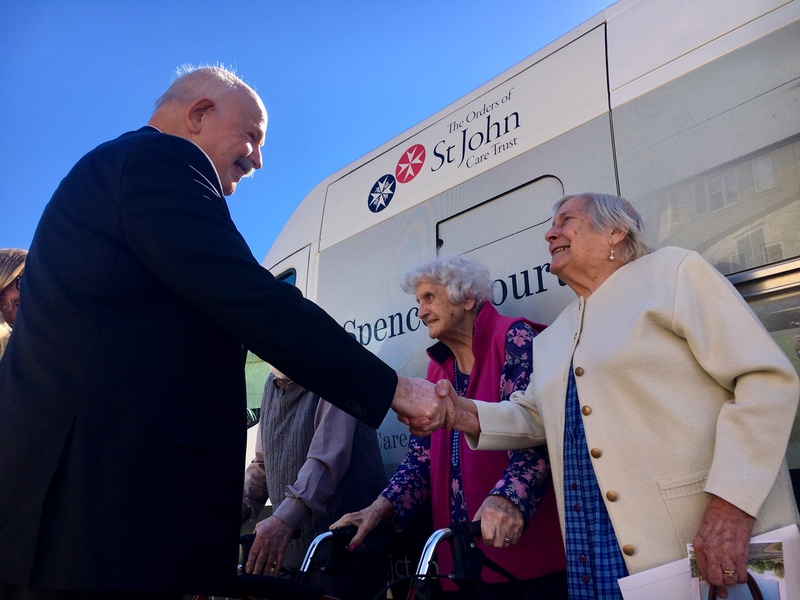 The minibus delivered to the care home management will allow guests to make regular excursions around the beautiful countryside and pretty villages.